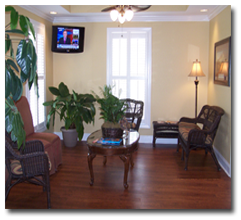 Our goal is to provide our clients with dental services in a friendly and comfortable environment. If you are in need of basic or cosmetic dental work, we are here for you. Our office will process your insurance claim for payment. All deductibles and co-pays are due at the time services are rendered. Furthermore, any amount not paid by your insurance company is your responsibility and will be due at the time you receive a bill in the mail. We accept cash, checks, credit cards, or Care Credit. Balances older than 90 days will be subject to additional collection fees. At Travis P. Phillips, DMD, LLC, we understand that temporary financial problems may affect timely payments of your account. If such problems do arise, we encourage you to contact us promptly for assistance in the management of your account. Disclaimer: No representation is made about the quality of the dental services to be performed or the expertise of the dentist performing such services.